More and more families are spending time together in front of the TV screen, bonding over the nightly news or the newest episode of their favorite show. 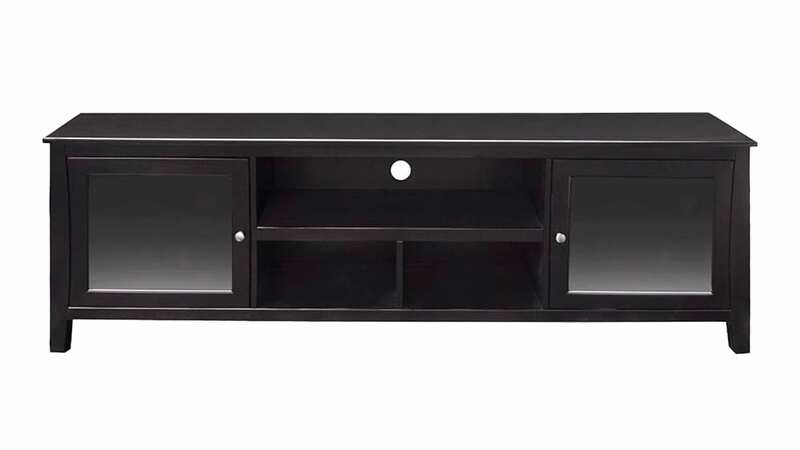 With the TV being a central feature in most homes, you need a durable console for support. With a gorgeous mocha finish accented by nickel handles, this wood console will blend in with any design scheme and give your entertainment room a comfortable, soothing feel. 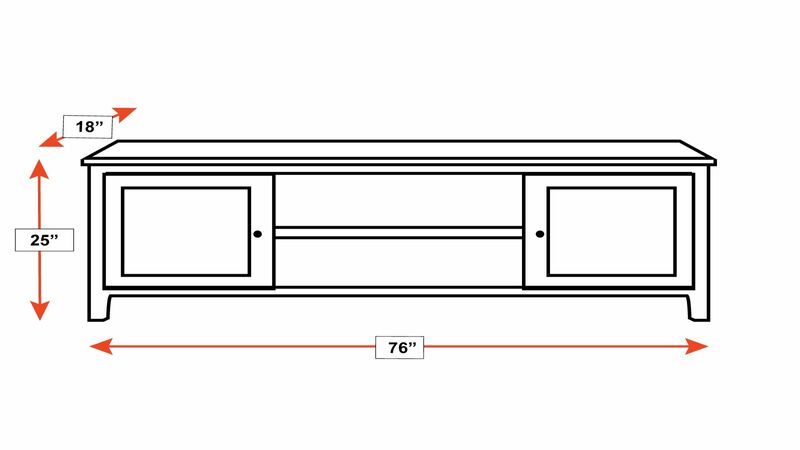 At 76 inches wide, the console can fit most large TVs with ease. Two cabinets and three open shelves offer plenty of storage space for your movies, DVD player, and other gadgets. This console was proudly made in America. Nickel handles beautifully accent the dark mocha finish. An open, divided center shelf provides plenty of space for all your gadgets. Smoked, removable glass cabinet doors give a sleek appearance. This TV console doesn’t skimp on the storage space. A spacious center shelf is divided into three smaller areas, providing perfect placement for a stereo system, DVD player, movies, or small decorations. Two large cabinets at the ends of the console also offer storage space for larger items or hiding space for items you don’t want on display, such as cable cords. Have the Macgregor 76” TV Console in your home TODAY, thanks to Gallery Furniture’s same-day delivery.